With more and more events becoming digital, the amount of data generated is increasing rapidly. Up until now, our own relationship with it has been one of simple ‘compliance’. Ensure no-one’s private data is shared inappropriately and take all feasible steps to safeguard the security of the same. However, data can improve both the delegates’ experience at events and also improve your own understanding of the sometimes intricate tapestry of information that is created before, during, and after your event. 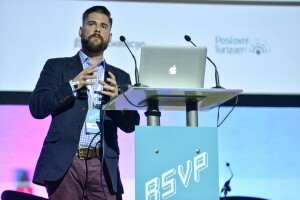 I was recently invited to speak at the inaugural RSVP conference in Zagreb, aimed at Event Managers and Marketers based in Croatia, and it was here, thanks to a couple of presentations from fellow speakers that I realised we should be doing more with data. Before I talk about this though, I have to say a few words about the location and organisation of the conference. The hotel we stayed at was great, the conference facilities first-rate, the transport links were excellent, and the event organisers and staff were brilliant. In short, I couldn’t fault it as a meeting destination. 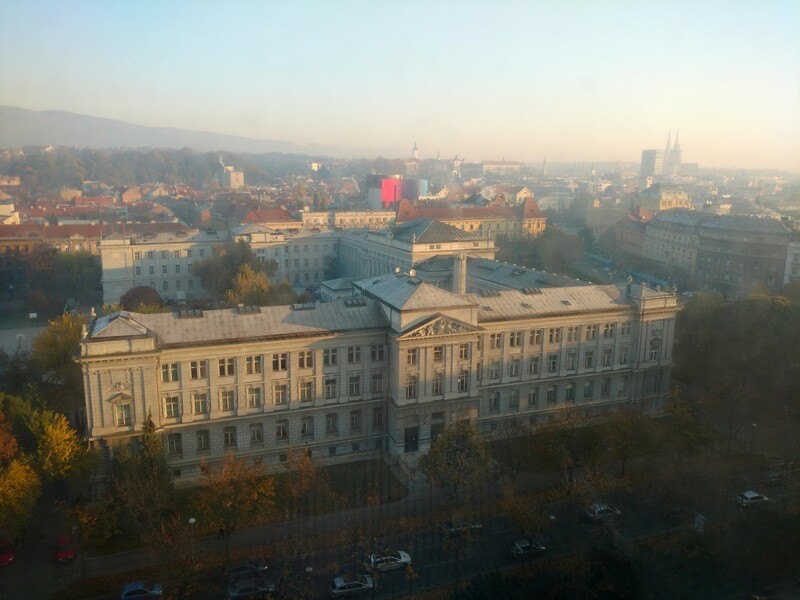 So it was a great surprise to hear my fellow speaker Rob Davidson (https://www.miceknowledge.com) state that Croatia was 23rd in the ranking of European countries for business conferences. I actually struggle to name 22 European countries anyway and I’m totally unsure who would rank lower. I’m obviously missing something important – apart from a lesson in Geography! Apart from Rob’s insightful look into the MICE industry in Croatia, two other speakers stood out for me and have given me things to think about in my own particular event ‘space’. Firstly, Dan Walsh from Full Fat (https://wearefullfat.com) spoke about his experiences with technology at festivals. Full Fat are a PR agency and although he comes at events from a different perspective, and the events he promotes are very different to the B2B conference world that I tend to reside in, he spoke avidly about creating personalised experiences for each visitor – surely something of a challenge when there are 50,000 at a festival. 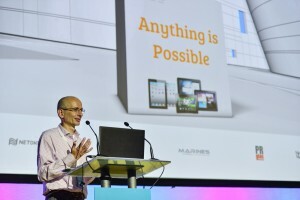 Technology and the data it creates hold the key – and with events becoming ever more digital, there is more and more data available. So it makes sense to find ways to use it to improve the experience of your guests. At a festival this might be invitation-only private mini-events popping up on the periphery. So, for example invitations to a wine-tasting event would logically only go to guests who had purchased wine at any of the bars. Similarly, people not overly interested in the headline act might receive promotions for a particular restaurant coinciding with the act. The goal is for the festival-goer to enjoy an event that apparently adapts itself to their personal preferences. This kind of customised experience is surely the future for many types of events to ensure our clients, delegates, guests or visitors get the most out of the events they attend and therefore will want to come back for more. Intelligent, non-intrusive use of data that is designed to help the visitor should be the focus; generation of extra revenue should not be the main driver at all. If you look after the people, the money will follow – a quote in fact from the other speaker I am going to talk about. Leonora Valvo’s presentation was about the science of data. Events create a lot of it, often on different systems and in different formats. However I’m pretty sure we’re all guilty of making cursory reports, filing them away and moving straight on to the next event. The conclusions we make are often superficial, lacking the additional dimensions that proper analysis could reveal as we simply do not have the time or the knowledge to look further. What Leonora offers are human experts and computer magic (K-means clustering analysis anyone?!) to take unsorted, apparently disparate data and discover hidden insights in that ‘fog of information’*. What does the language used by the speakers at a conference reveal? What about the data generated by the delegates? Why did certain parts of the event appear to appeal more than others? Who were the most engaged section of your audience? What do you need to do to attract more people to your event? In short, they can identify patterns in the data that can help us optimise all aspects of our events to ensure we understand, engage and grow our audiences. In summary, two things came out of my trip to Croatia. Firstly that it should be a much more popular destination for Meetings & Events than it currently is. Secondly, technology is generating a lot of data about our events. We should use it to improve and personalise the experience of our delegates at the events we organise and we should use it to discover meaningful insights into what I’ve decided I’m going to call the Event Data Tapestry. You heard it here first. * “The fog of information can drive out knowledge.” Daniel J Boorstin, NYT, July 1983.